Everyone loves traveling to a tropical location, but the intensity of the sunlight here can take some by surprise. Here are a few tips to help you stay safe in the sun in Cabo! Apart from whale watching and other aquatic activities, one of Cabo’s main draws to vacationers time and time again is its impressive record of around 350 days a year of sun. Temperatures on average hit in the mid to high 90’s (farenheit) in the summer, and at the top end of the 70’s in winter. However, with an average humidity of over 60%, this can often feel much higher. In temperatures such as these, practicing good sun safety is essential. While of course you can buy what you need on location, ideally sun safety should be something you consider when packing for your holiday. 1) Sunscreen – Many of us shy away from using sunscreen, often down to childhood memories of a slimy coating of the stuff liberally applied by a parent. Nowadays, however there are a whole range of different sunscreen methods, from the traditional creams to lotions and sprays, so there really is no excuse. Another mistake people commonly make is choosing the wrong sunscreen for the climate or activities they expect to take part in on their holiday. Ideally, the general rule of thumb is to select a sunscreen that offers both UVA and UVB protection, that should at a very minimum be at least 15 SPF. However, for true sun safety, you really should be looking to use SPF 30 or above, with those of fairer skin tones and children using factor 40 or 50 sunscreen. 2) Clothing – While you may be eager to wear your skimpiest outfits to show off your pre-holiday weight loss, in places with intense sunlight it is important to cover up where possible. Opt for lightweight loose-fitting garments such as blouses or kaftans, and, while black may be more slimming, it’s better to choose clothing items of a lighter hue. 3) Hats and Sunglasses – A wide brimmed hat is most recommended for sun safety, as it helps protect your face and your neck from sun exposure. Sunglasses are also great for reducing eye-strain induced headaches from squinting in the bright sunlight. 4) Water – It is also important to keep yourself topped up with water. Many of us become dehydrated in our day to day lives without realizing it, but in a hot climate it can easily lead to heatstroke. While you may think enjoying a cocktail or two by the pool is ideal for keeping your fluids up, alcohol will actually dehydrate you, increasing your risk from sun exposure. Feel free to indulge, of course, just make sure you hydrate while doing so! While out in the sun in Cabo, either lazing on the beach or water, there are some basic practices you can implement to keep yourself sun safe. 1) Be wary of reflections – Any type of reflection, even from the water, can increase the intensity of the sun’s’ rays greatly. Be aware of times around midday, when the overhead sun can make reflections particularly potent. 2) Seek Shade – While you might be having a great time out in the sun, it’s important to remember to give yourself breaks in the shade, even if you’re feeling fine. Heatstroke will often set in hours after over exposure, so be sure to give yourself regular opportunities to rest and relax in the shade. 3) Limit Your Tanning – Sunbathing is something almost everyone wants to do on a tropical vacation, but try to keep your sunbathing limited to short spurts, in order to keep your skin as healthy as possible and to avoid an uncomfortable sunburn on your vacation. 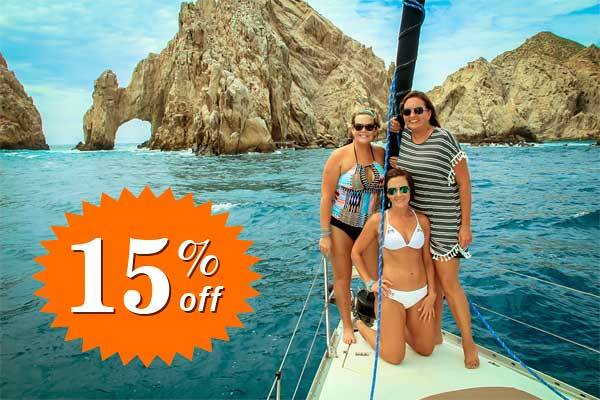 Cabo offers a whole range of amazing cruises. From sightseeing and whale watching to snorkeling, Cabo really offers something for everyone. However, when you think about it, while relaxing, cruising can often be defined as sitting in the sun for hours at a time, so it’s really best to consider sun safety before setting sail. 1) Don’t get caught out – Be prepared for your trip in advance. Make sure you have sunscreen with you, as it should be reapplied every two hours or immediately after sweating heavily or swimming. Before snorkeling it is particularly important to ensure your back is well coated with sunscreen, as you will be spending long periods of time face down in the water. You should also make sure you have some form of cover up with you, such as a shawl or kaftan, and a hat is definitely a must. 2) Stay Hydrated – As previously mentioned, staying hydrated is essential. Luckily, many cruises offer a complimentary bar or buffet, offering tasty snacks and drinks to help you stay refreshed. While there’s nothing wrong with opting for an alcoholic beverage, it is important to pair this with a glass of water to keep your fluid levels high. 3) Try to find a shady spot – While of course you want to get as close to the action as possible, when partaking in a longer cruise it is important to seek a shady spot or head into the cabin from time to time. This will help reduce your risk of heat exposure greatly. With these simple safety tips nothing will get in the way of your holiday of a lifetime. So take in everything Cabo has to offer, and most importantly have fun! 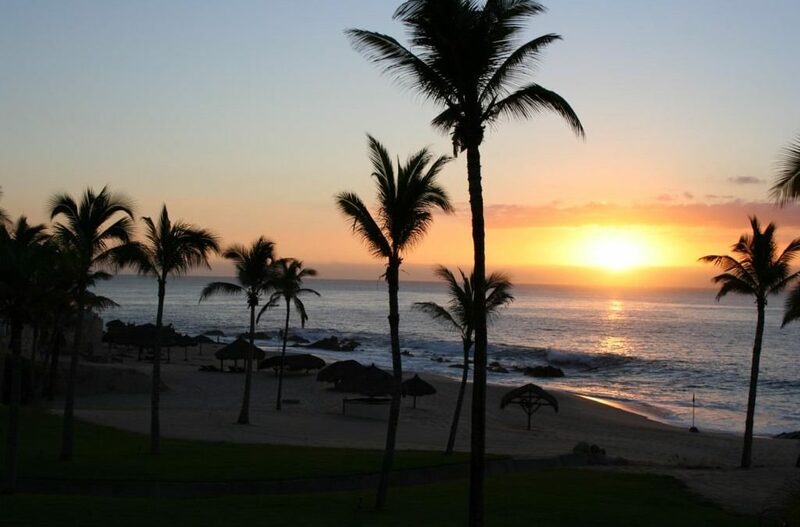 We love the sun here in Cabo, and can’t wait to share it with you on your tropical vacation.